Students will learn about value and contrast through an exploration of shading techniques. Students will begin by testing out different methods of shading and find what works best for them. 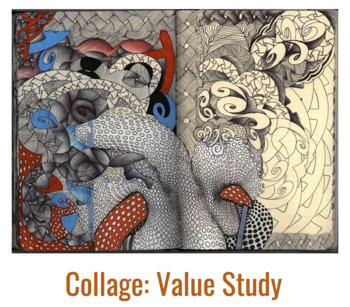 This lesson will include a practice value study through organic and geometric shapes. Students will then use those methods to create a large scale “window collage” by selecting sections of the collage to have value.